Jujubes are a very interesting fruit with an even more interesting history. From the Rhamnaceae or Buckthorn botanical family, they’ve been cultivated in China for more than 4,000 years. 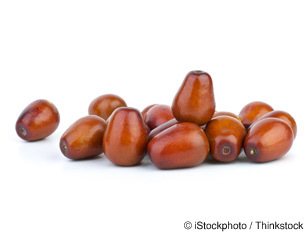 There are at least 400 jujube varieties, successfully developed for their distinctive characteristics – principally varieties best for eating fresh and others for drying to attain a chewy, date-like consistency.